Countertop dispensers are compact units that are often used in offices or in health care facilities, even in pharmacies. Many of these small units come with a water dispenser function, so they can provide not only ice, but cool, tasty and clear water as well. Ice machines vary in terms of the size of the ice that is dispensed, too. 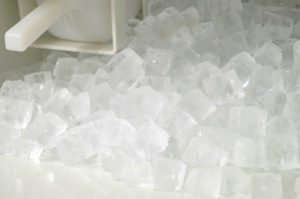 The most common types of ice are cubes, nuggets and flakes – the first type is the largest and the most common, the second is smaller and easier to chew, therefore more frequently used in the healthcare industry, while the third type is the smallest, mostly used in bars for cocktails, in restaurants to keep vegetables, seafood and meat fresh and in offices where employees can add the flakes to their refreshment, such as lemonade, coffee or tea. For all your commercial refrigeration needs, look to All Temperatures Controlled at http://alltemperatures.com/commercial-services/refrigeration-maintenance-repair/.